Creating eye-catching, professional-looking displays this holiday season will be easy using our 36" Commercial Grade LED Snowflakes. 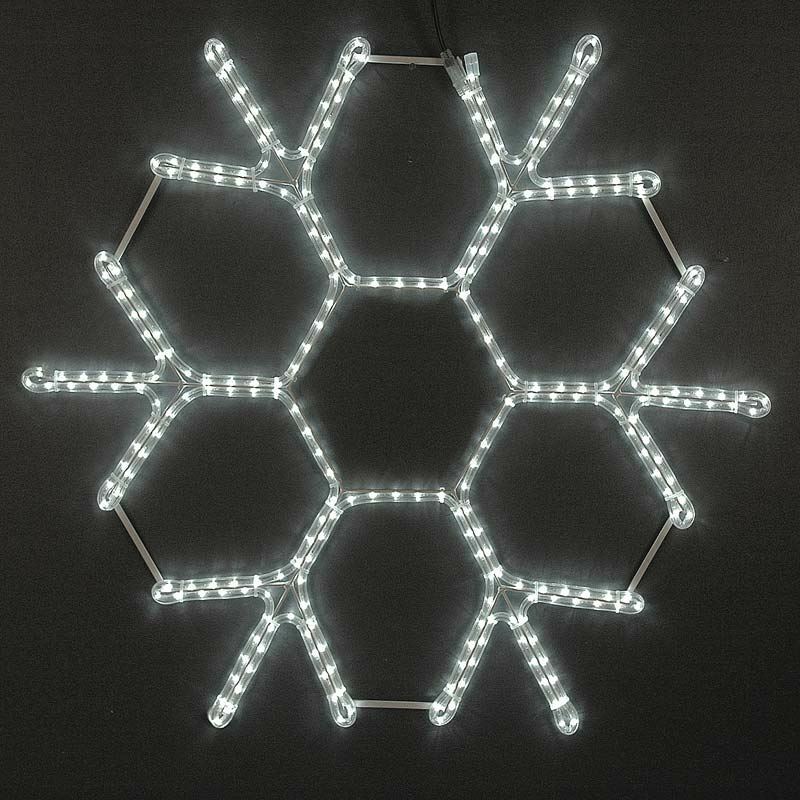 Measuring 36" x 36", this cool white led snowflake is ideal for decorating any home or business structure. The highly durable LED rope light with lamps spaced every 1" is attached to a powder coated white frame that will not rust or fade. Save energy and create brilliant illuminations with these large cool white snowflakes because they burn cool, use less energy, and shine much brighter than incandescent rope light snowflakes. Each 36" LED snowflake comes fully assembled ready to be installed using the provided hanging hook. 3 Season warranty. For indoor/outdoor use. Please call us if you have any questions about our LED snowflakes!